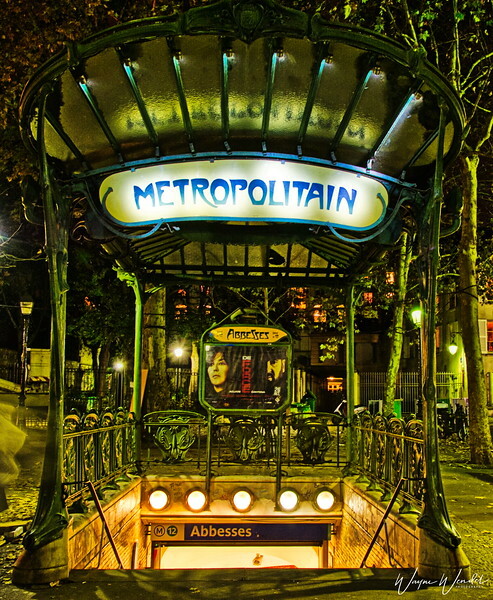 Abbesses is a station on Paris Métro Line 12, in the Montmartre district. It is one of the three remaining Art Nouveau entrances in Paris.Hector Guimard created the Art Nouveau canopies for the newly built Metropolitain, at the turn of the 20th century. Art Nouveau, or Modern Style, was indeed the architectural and artistic style of the years 1890 to 1910. It focused on natural forms and structures and used profusion of intertwined flowers and plants to create elegant curves.